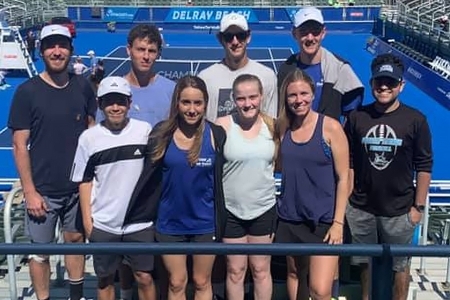 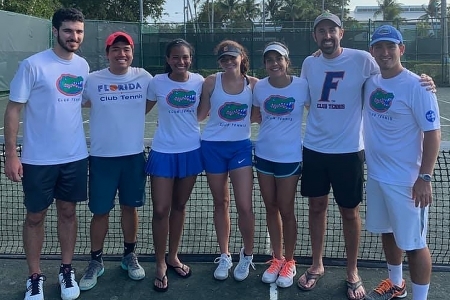 The University of Miami beat three-time 2019 winner the University of Florida 24-20 in the final of the Delray Beach Open ‘Tennis On Campus’ Challenge, held on Feb. 16 during the ATP World Tour event in Delray Beach, Fla. 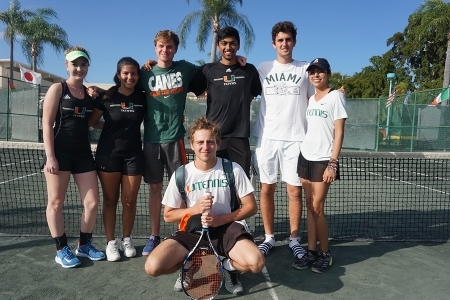 The win ended a two-tournament finals losing streak for UM, which fell to the University of South Florida in the Oct. 13 final of the USF Bull Run in Tampa, and to UF in the final of the UM Ibis Open in Coral Gables on Nov. 10. It was UM’s second title of the season after tying UCF in the rained-out final of the first event of the season, the FSU Battle in the Capital in Tallahassee on Sept. 29. Participating schools were the universities of Florida, North Florida, Miami, Tampa, Florida Gulf Coast, Florida Atlantic, Florida State, and first-time appearances by Lynn and Beacon College. 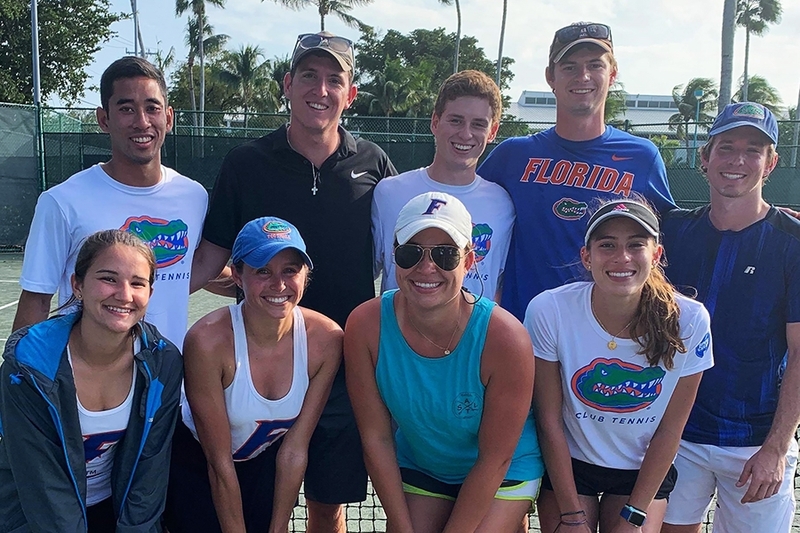 The UF-“B” team won the Silver Bracket, topping the UT-“A” squad in the final, and the UNF-“A” team won the Bronze Bracket, defeating the UT-“B” team in the championship match. 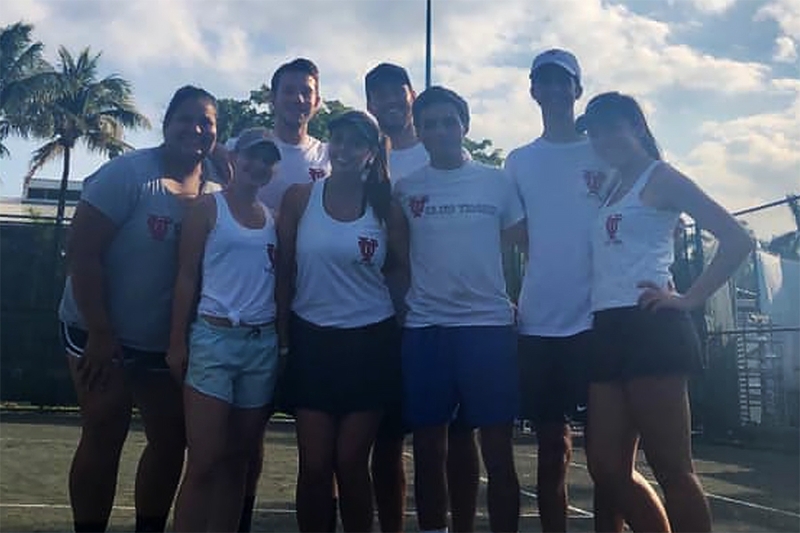 The next event on the 2018-19 USTA Florida ‘Tennis on Campus’ schedule will be the season-ending USTA Florida Tennis on Campus Sectional Championships on Feb. 23.